Janie and Micah, Micah and Janie. That's how it's been ever since elementary school, when Janie Vivien moved next door. Janie says Micah is everything she is not. Where Micah is shy, Janie is outgoing. Where Micah loves music, Janie loves art. It's the perfect friendship—as long as no one finds out about it. But then Janie goes missing and everything Micah thought he knew about his best friend is colored with doubt. 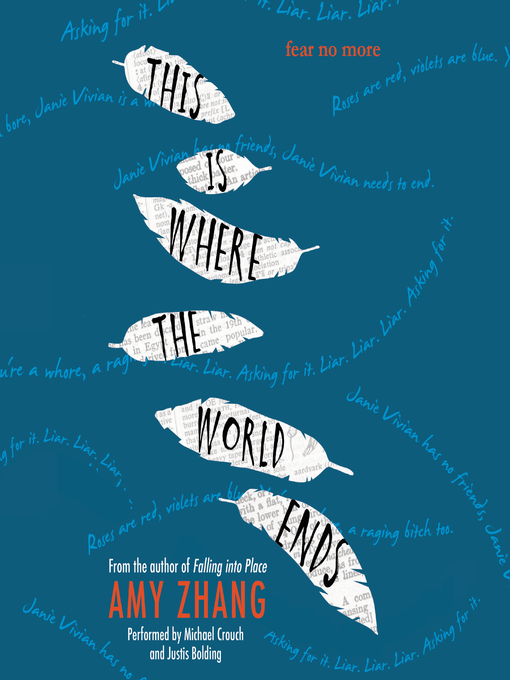 Using a nonlinear writing style and dual narrators, Amy Zhang masterfully reveals the circumstances surrounding Janie's disappearance in an astonishing second novel that will appeal to fans of Lauren Oliver and Jay Asher.